Today, we take a look at the latest album from the Hinson Family; The Light Just Came On. Weston Hinson is carrying on the Hinson legacy that started with father Kenny Hinson, uncles Larry and Ronny Hinson and aunt Yvonne Johnson. The Hinsons carved out a loyal fan base that remains to this day. One only needs to go to YouTube to find the original Hinsons one of the most viewed Southern Gospel artists. Weston Hinson (lead) is joined by wife Christy Hinson (soprano) and daughter Jordan Honea (alto). The Light Just Came On keeps that classic Hinson sound/style alive. Weston Hinson does his father proud by carrying on that country-style lead vocal that made the original Hinsons sound so distinct. And he does it with some classic Hinson style barn burners. “It Happened That Day” takes some riffs from “I Never Shall Forget The Day” to produce a modern-day Hinson classic. The original Hinsons would absolutely command a live concert setting with this song. Weston continues that theme with the album’s current radio single, “A Stones Throw Away”. Original member Larry Hinson penned this must listen. Christy and her commanding soprano vocal has the album’s ballad highlights. “Say The Word” is a big orchestrated number that builds throughout until a big powerful ending. The classic country sounds of the original group is also found on “I Want To Know”. This song brings out a crying steel guitar to add to the overall feel of the song. That crying steel guitar is also heard on the Gerald Crabb penned title track, “The Light Just Came On”. Weston and the close similarity to his father’s vocal on this song will have you hitting repeat. Listener’s are treated to another song in this vein with the album’s opening track, “When He Comes On The Scene”. Strongest songs included in order: “It Happened That Day”, “I Want To Know”, “Say The Word”, “A Stones Throw Away”, “How Can I Doubt That”, “When He Comes On The Scene”, “The Light Just Came On” and “Worthless”. The album’s pacing trends heavy to slow tempo songs, with 9 of the 12 songs being slow tempo. That gives the album a total listening time of 46 minutes. The group could have left off the two weakest slow tempo numbers for better pacing. Weakest songs included in order: “Road To Damascus”. For those listeners who enjoyed the original Hinsons, you will want to get this recording. 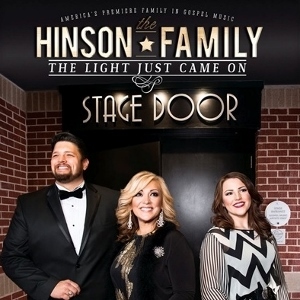 The Light Just Came On is a great tribute to the Hinson legacy while also forging a sound that is distinct to this current iteration of the Hinson Family. The Original Hinsons are one of the most powerful gospel groups in history. Why? Because first and foremost they were ministers.? Second they were tremendous song writers. Three Kenny was one of the best vocalist of the age. He was offered country music contracts and refused to sell out his personal convictions. I hope this younger group continues those qualities.